The Buffalo Bills made a bold move on this day to pick up a starting quarterback. What's more, they did it within their own division. 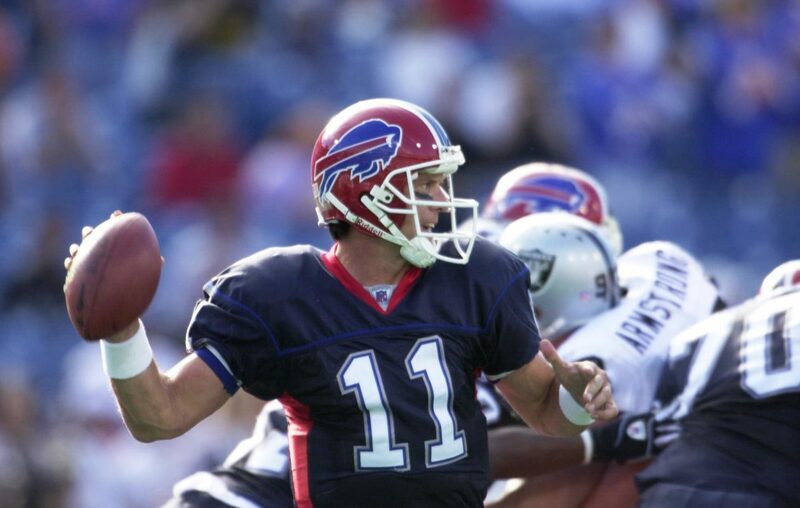 The Bills made a deal with the New England Patriots to acquire Drew Bledsoe, giving up a first-round draft choice in 2003. It might have been the biggest trade by the Bills since the 1987 acquisition of Cornelius Bennett. The Bills had had problems replacing Jim Kelly as the starting quarterback from 1997 to 2001, and Bledsoe's acquisition was an attempt to fix that problem. He had taken New England to the playoffs in four of his first eight years. However, he made the mistake of getting hurt in 2001, and lost his job to Tom Brady. New England thought Brady was its quarterback of the present and future, so it made Bledsoe available.